Our prayers are with the orphans from Latvia and Ukraine, and the U.S. families who have been hosting them during the Christmas/New Year holidays. What an adventure for an orphan from Eastern Europe: come and stay for 4 weeks with a Christian family in the United States! What an adventure for the families who are hosting! A Christmas time of giving to remember forever. And, some of the children who are being hosted will eventually be adopted by families they meet during their visit to the U.S.
You can meet some of the children who are being hosted through the Open Hearts and Homes for Children program in their Picasa web album here: https://picasaweb.google.com/116613871676825659205/MeetOurOHHCVisitingChildrenChristmas2011?authuser=0&authkey=Gv1sRgCO2Swbi9qLvoXw&feat=directlink . 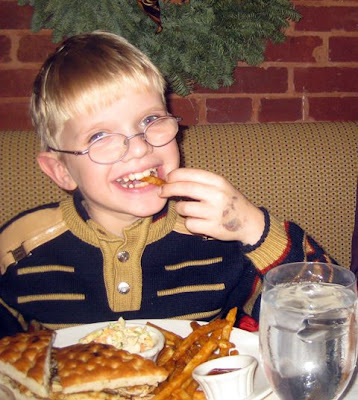 Meet Vlad, a special needs child, and other children here from Latvia and Ukraine. Interested in hosting for summer 2012? Learn more here.